Users turn to mobile devices more frequently than desktop to research and complete transactions. Successful marketing includes strategies to deliver an exceptional mobile experience. Mobile search contributes to 62% of search traffic. The shift towards mobile disrupts the traditional buyer's journey by highlighting new opportunities to answer questions faster, buy easier, and find physically proximate resources. Understanding the competitive organic landscape and Share of Voice for a brand across mobile devices. Based on this information you can better understand who your real competitors are on the mobile SERPs. You will get a better idea of how your competitors are winning for the keywords that you are currently tracking. First order of business: Your site needs to load quickly. Crawl your mobile domain or main domain (if responsive) with ContentIQ to uncover site errors, such as slow response time or noindex tags. 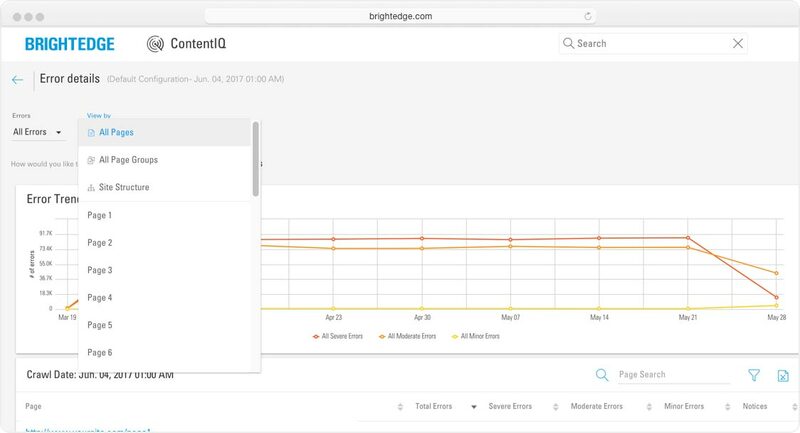 BrightEdge research confirms the first page that ranks for a search query is different on mobile vs. desktop SERPs 35% of the time. Using the prebuilt Mobile-First Dashboard template in StoryBuilder, you can monitor and benchmark the performance of your content on mobile vs. desktop and evaluate your mobile opportunity. Narrow down your keyword list to the keywords that will have the highest impact. 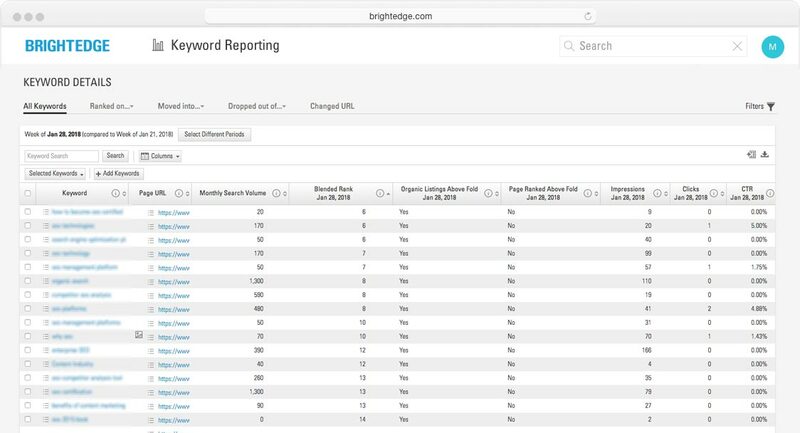 BrightEdge helps you quickly zero in on keywords with the highest search volume, blended rank between 5-15, and have organic listings above the fold of the mobile SERP. Use StoryBuilder to identify average Time on Page and Bounce Rate to understand if the content is engaging for your audience. Create charts to track rank for each keyword group; track progress and discover new striking distance keywords. Easily create relevant mobile dashboards in StoryBuilder to track your progress and report your successes. Share of Voice reveals the full set of competitors for key topics. Identify competitive URLs that outrank your pages and inspect their content to win back coveted SERP real estate.